One of the most fun (and most challenging) local athletic events in Palm Springs is the annual Tram Road Challenge — a taxing 6k up the route of the Palm Springs aerial tram. 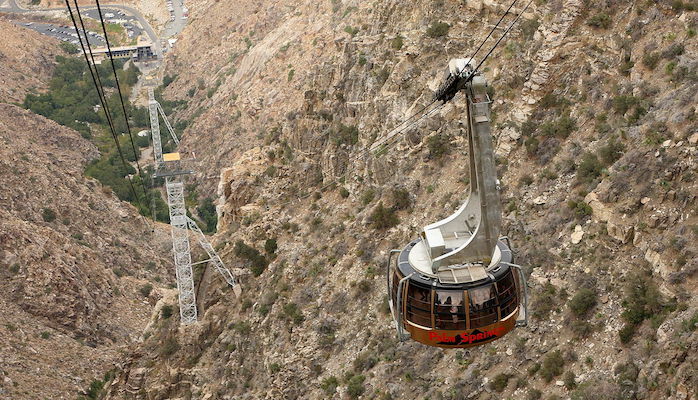 The beautiful aerial tram runs from Chino Canyon up to the 8,500 foot elevation of Mt. San Jacinto State Park. It’s worth a trip specifically for the tram ride, but you can run the access road for a leg crushing workout with spectacular views. Starting from the gate just past the Palm Springs Visitors Center, you will climb a total of 2,000 feet on a route that gets steeper and steeper the higher you climb. Be aware that cars may use this road on days other than race day, but if you successfully complete the run up, you can buy a tram ticket to return back down!